Update: Thanks for watching, everyone! If you missed Cory's triumph and tragedy, we've embedded the video here. 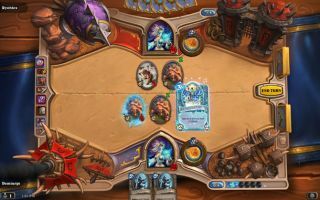 Hearthstone is a fantastic digital card game, and Arena is its best mode—build a deck from a random draft of cards and see how many wins you can rack up against players with similarly randomized decks. The better you do, the bigger your reward. If you need proof (or just want to heckle him) Cory will start a Hearthstone Arena run at 5pm PT (8pm ET) live on the PC Gamer Twitch channel . Watch him build his deck, take it into battle, and choose the wrong card every single time. It'll be fun!